Long gone are the days where people actually believe they can eat whatever they want, when they want it, and not reap any consequences. Often in the mass market, the analogy is applied to what not to eat. But practitioners of a more wellness based lifestyle look more to what to include in their diet, versus what to exclude - taking on a more preventative approach to wellness. 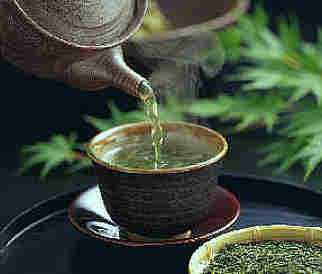 One recent study points to the significant health benefits in including one specific component to ones diet, Green Tea. The Epidemiology and Prevention Division of the Research Center for Cancer Prevention and Screening, at the National Cancer Center in Tokyo recently concluded that drinking five or more cups of Green Tea halved the risk of Prostate Cancer in men when compared to men who drank one cup of the brew. The study was based on data compiled from 50,000 men aged 40-69 over a period of 14 years. The extensive research study began in 1990, and now can be added to the mounting evidence of the multitude of curative powers of Green Tea.